Cost: $125 per person for the whole week. Learn about car culture, design and engineering. Create car designs and make your own models. 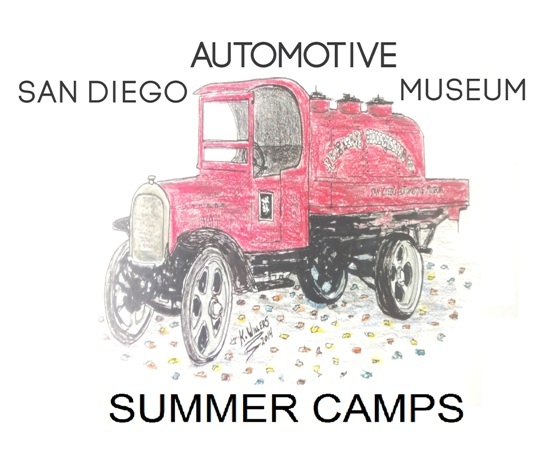 See classic cars up close and personal with local car owners. Explore alternative automotive technologies past, present and future. Limit 10 children per camp session. Only one registration for one session for each participant. Please contact Sally at 619 398-0301.